Data transformation is the process of converting sets of data values from a source format to a format consistent for a destination data system. Data element to element mapping can be complicated and requires complex transformations that require lots of rules, which is why successful analysts use these tools to help simplify the process. This on-going process of shaping, standardizing and enriching data to conform to the right analytic outputs, has long been considered tedious, time-consuming, “janitorial” work. Worse yet, when it comes to complex or large volumes of data, the work is relegated to the small number of valuable resources with advanced data science skills, regardless of whether they have the business context or not. In short, this process has historically been fraught with roadblocks and frustrations, often consuming way more time than the actual analysis. Until recently there haven’t been a lot of data transformation tools available help solve the challenges of IT organizations. At Trifacta our goal is to radically accelerate the process of transforming data and reduce the time it takes to analyze information and get the most out of your data. We are focused on fundamentally changing the experience of transforming data and providing delightful experiences with data. This means more than transforming data. It means creating shareable, reusable processes to help technical and non-technical users get to know the shape and structure of their data. When done well, this process lays the foundation for successful and repeatable analyses. To extend transformation capabilities to non-technical business users, the Trifacta data wrangling experience includes predictive data transformation. Users can click, drag or select over the specifics of the data they would like to transform and, with every interaction, Trifacta Wrangler generates a ranked list of suggested transformations for the user to evaluate or edit. This iterative feedback loop is always occurring throughout the use of Trifacta Wrangler, constantly taking inputs from the data and the user to intelligently recommend new options. As a key player in modern data transformation tools, Trifacta’s predictive data transformation allows analysts to work more intelligently with their data without having to learn new skills. By using Trifacta Wrangler the transforming of data is not only easier, but faster and more fun, too. 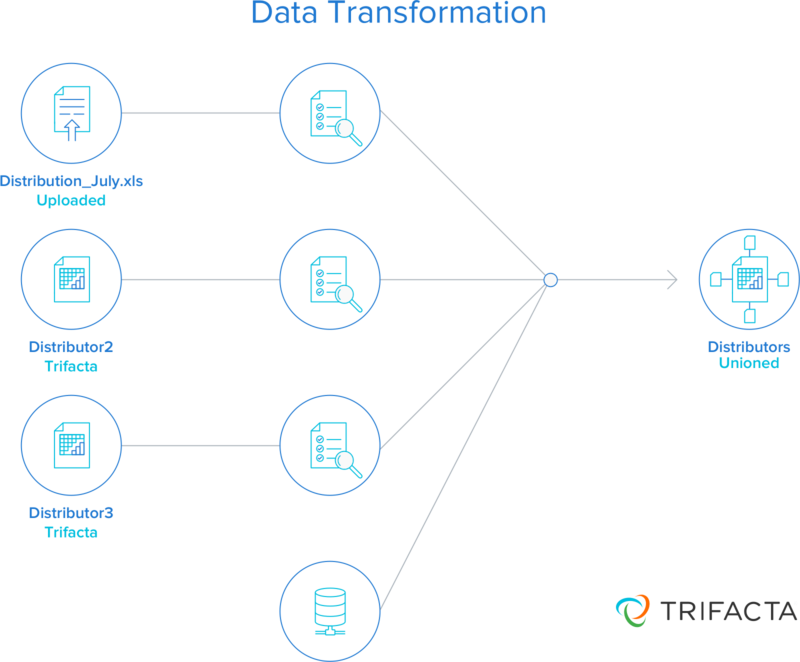 Try a new way to transform your data, try out Trifacta Wrangler today.